Back in the spring at our annual club swap meet, I picked up some very cool little Ricefish from another club member, Mark Miller. I hadn’t really done much with these guys other than to marvel at how their eyes glow a very bright blue. They are so bright that they catch your attention from across the room. 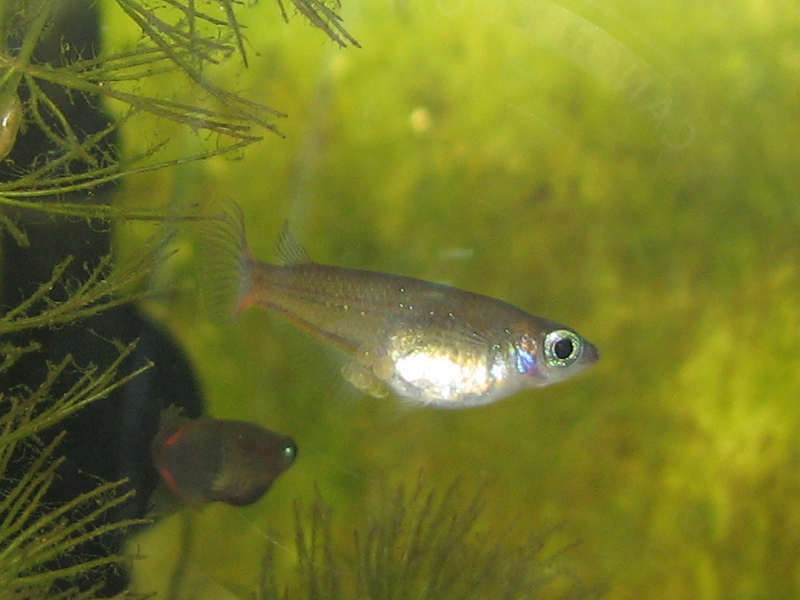 I have the species Oryzias woworae. 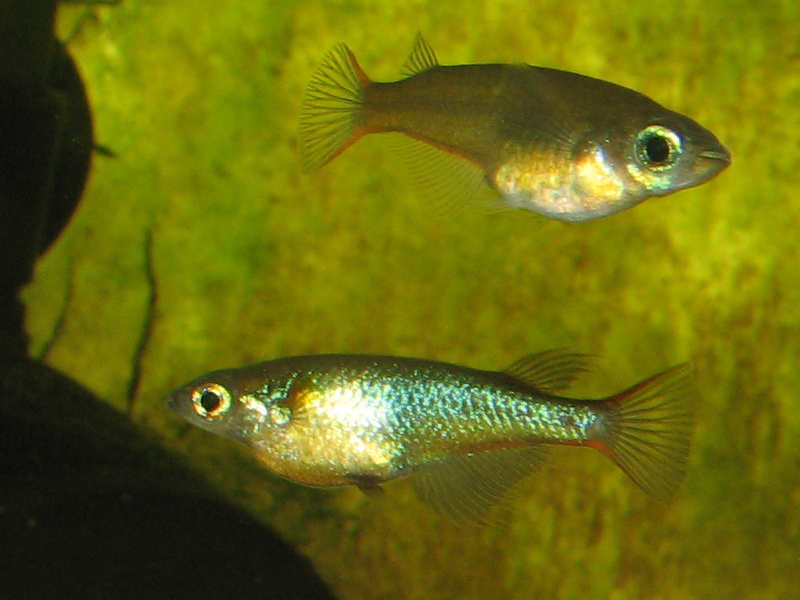 These fish come from the island of Sulawesi which is home to 17 Oryzias species described to date. Spawning Ricefish is a rather simple matter. The little fish are not demanding when it comes to water parameters or food, and can be brought into spawning condition with the help of some live food or simply a high quality commercial food. I placed 2 males and 4 females into a 5.5 gallon tank with a bit of floating horn wort and a small sponge filter. The water was close to neutral with a pH of around 7 and the temperature running in the 68°F to 72°F range. I fed them live Moina and the 300-500 micron size Golden Pearls several times each day. With weekly 50%-75% water changes it was only a couple weeks before I noticed female fish carrying eggs. 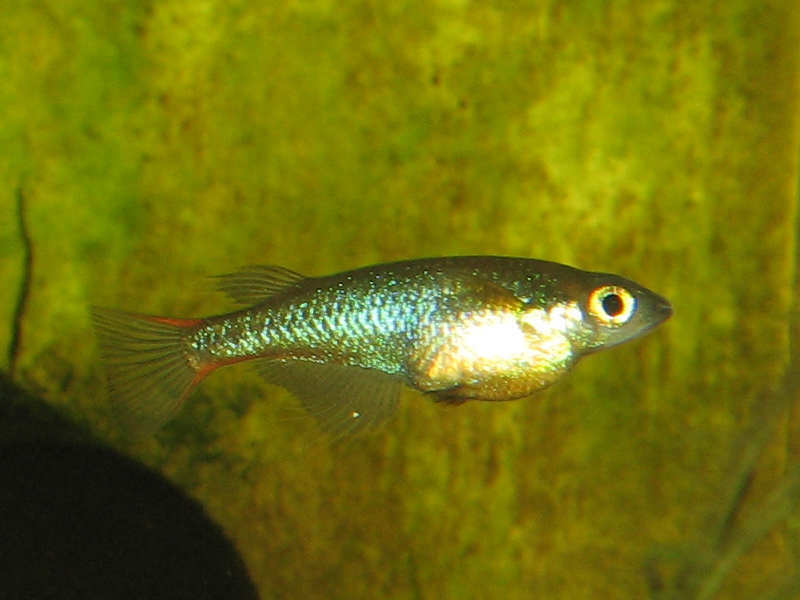 The females will carry the eggs around for only a short while before they attach them to some plant material in the tank. Depending on the water temperature the eggs will typically hatch in 1-3 weeks. These fish have only been in the hobby for the past several years, but they are very interesting and make an excellent fish for a nano tank. If you happen to find some available, it’s well worth the effort to set-up a species tank or add some to a community tank of other small peaceful fish. Next Next post: Snowy day and a cold water change…..